The last three days were a whirlwind. I finally got to meet the other Women Who Ride winners as well as see the Mother Ship where all the Trek candy is made. First my jaw fell open when I walked in the front door and saw all of Lance's bikes on display. Like THE bikes that he raced up the mountain passes into history. What a joy that has to be for those people who actually worked on them to see their work not only propel a human to achieve his best but then to have the bikes back home and memorialized as a daily reminder of their own achievement. I know I was amazed. Okay, so back to me. :) I got to meet the other 4 ladies and they are rock stars. In an earlier post I listed their descriptions but in person, they are far beyond; warm, giving, inviting and just crazy enthusiastic about riding bikes. They shared ideas and encouraged everyone. They're true representatives of the WWR mission. Monday was spent traveling and Tuesday was spent digging through our loot bags and getting our photos taken and touring the candy factory. The morning was like Christmas Day as they paraded our bikes into the room we were in. Three of the ladies got super sweet Madones, Mary got an Equinox TT bike and I'm the proud owner of a 9.8 WSD Top Fuel, the same one I rode all last week. Trek spoiled us good. We were given kits and gear and equipment...as if saying, okay, no excuses. Go ride! The photos shoot was interesting. Being in advertising I'm always on the other side of the camera but this time I was in the frame. Yikes. You'd think after countless photoshoots I'd be more original and loose. Nu-uh. I was stiff and nervous but we're our own worst critics. We were photographed individually and as a group. Stay tuned for images on Trek's website sometime in May. The tour through the factory was enlightening. 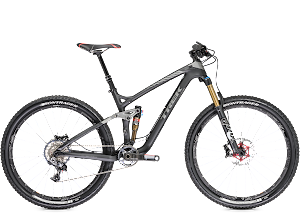 They mostly make the carbon bikes there now so we got to see those types of bikes in many stages of production. We weren't allowed in the super secret carbon room where all the geeky engineers conjure up the next great thing but they gave us free food and GOOD coffee (bikers rule), so we were okay with it. Later we were treated to dinner with about a dozen other divas who work at Trek. We met ladies who are in charge of everything from saddle design to advocacy. Most were from other back grounds and other states but they liked bikes and beer. We were instant friends. Wednesday was spent riding bikes (unfortunately they had rainy weather so I couldn't ride the coveted Jim's Trails, the IMBA built trails across the street from the offices where they demo mountain bikes) so I got to ride someone's carbon madone (oh, darn) with the rest of the group. It was a great day and we enjoyed every second. I'm proud and honored to be part of this group. 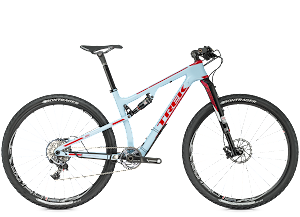 Trek truly believes in the products they sell and it's pretty cool to see how dedicated they are to getting ladies and everyone else for that matter on a bike. They are going to the ends of the earth to do it. I hope I can help through this opportunity with WWR. I'm off to Chicago, so I'll be unplugged this whole weekend. Next week I promise to upload our trip photos from all of my travels. Roxy, I was so happy to meet everyone behind the short bios and profile pictures we were first introduced by-- and finally experience in person just how cool and approachable everyone was. Very cool Roxy, I'm proud to know you. Thanks, Jon. It's still sinking in. The peeps at Trek are VERY cool and generous and just want people on bikes. Plain and simple. I hope to help with that effort.